House Judiciary Committee Chairman Jerry Nadler said late Thursday that acting Attorney General Matt Whitaker will testify before the panel on Friday. This appears to end a standoff with Democrats, after Whitaker threatened not to appear unless he receives assurances that he will not be served with a subpoena for invoking executive privilege. "The chairman has made the commitment that we requested, and agreed that, if Mr. Whitaker voluntarily appears at tomorrow's hearing, the Committee will not issue a subpoena on or before February 8. In light of that commitment, Acting Attorney General Whitaker looks forward to voluntarily appearing at tomorrow's hearing and discussing the great work of the Department of Justice." — DOJ spokesperson Kerri Kupec said in a statement. The big picture: The committee voted along party lines Thursday to preemptively subpoena Whitaker if he refuses to answer questions. 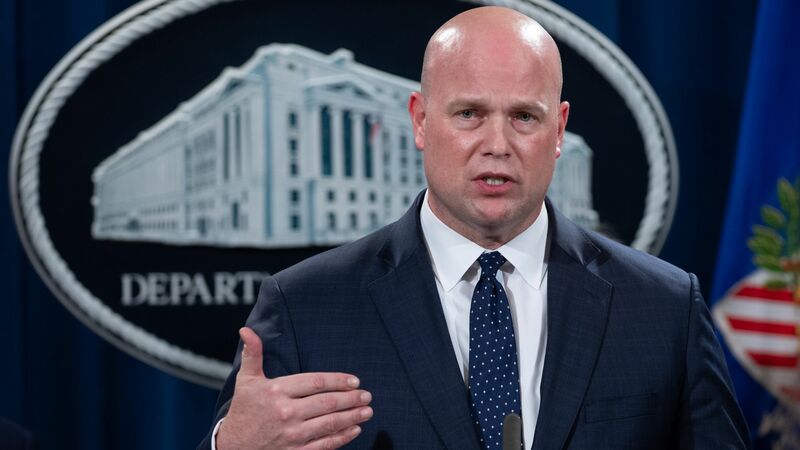 The Justice Department's head of legislative affairs Stephen Boyd said that unless the committee promised by 6 p.m. on Thursday not to subpoena Whitaker, he would not attend the hearing, according to The Daily Beast. House Judiciary Chairman Jerrold Nadler (D-N.Y.) said in a statement earlier Thursday that he hoped a subpoena wouldn't be necessary, but that he is troubled by "delay tactics" by the Justice Department and past instances of Trump administration officials receiving "a free pass on tough questions." Nadler said that the idea that a witness could refuse to answer a question based on "speculation" that the president might want to assert executive privilege is "ridiculous."